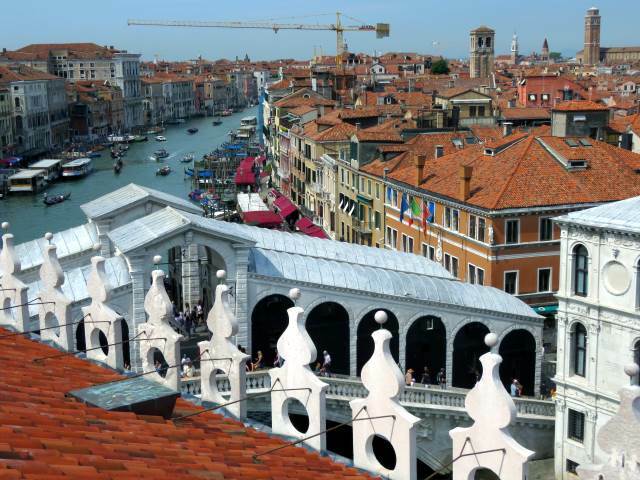 The “Fondaco dei Tedeschi” is a building overlooking the Grand Canal, near the Rialto bridge. It was the seat of German merchants who used it as a warehouse and lodging. Existing since the XIII century, it was rebuilt between 1505 and 1508 following a fire. On this occasion, Giorgione and the pupil Tiziano were invited to fresco it outside. Unfortunately, there are only some fragments of these frescoes, now kept in Ca ‘d’Oro. 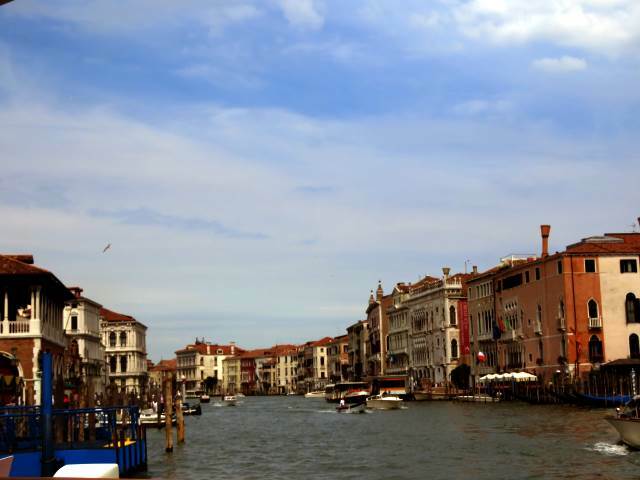 Like the other “fonteghi” of the city, this was also suppressed in 1797 with the fall of the Venetian Republic. It has long been owned by the Post Office and Telecommunications, which sold it in 2008 to Benetton, which has made it a commercial center (much disputed, but we do not want to go into this). The building has a square plan, and is built around a single courtyard. The palace externally presents five large round arches that close a portico on the Grand Canal, from where the goods were downloaded. 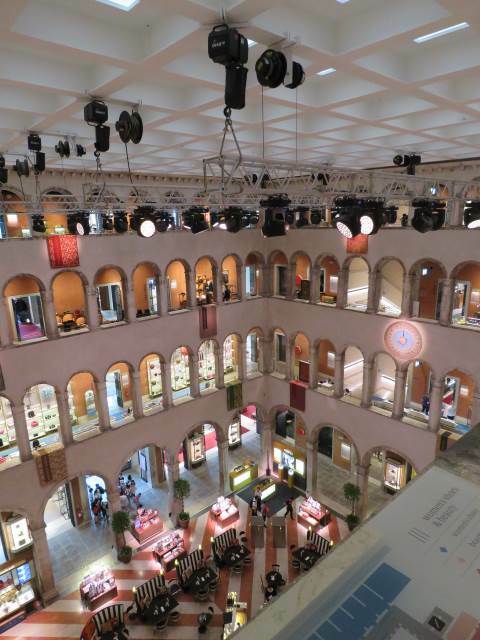 Inside there are 4 floors of arcades with round arches, on the sides of which were placed warehouses and shops. The top of the building is crenellated. The well was located in the middle of the courtyard. With the last renovation it has been moved. The part that is of most interests for us is definitely the terrace. 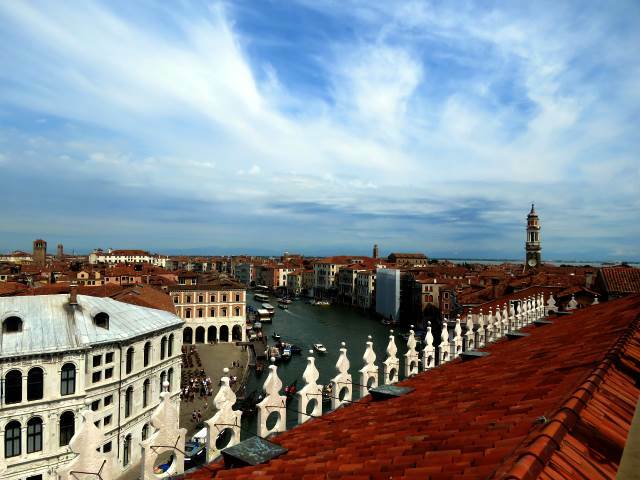 The view over the rooftops of Venice is breathtaking. In good weather the view can range up to the islands. You can see very well the lighthouse of the island of Murano that seems so close. 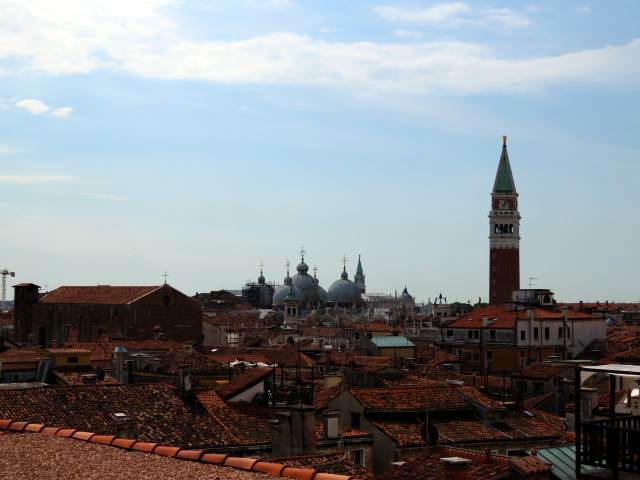 You can see the domes of the Basilica of San Marco, the bell tower of San Marco, the Grand Canal with its palaces, the roofs and the “altane” (small terraces on the rooftop fo the houses) of Venice, the Rialto Bridge, the bell towers of the churches of Venice, and a thousand other details that they can only be admired from the top. 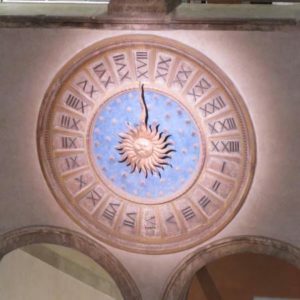 The visit is free, and you can stop on the terrace for only 15 minutes. Booking is mandatory through the website www.dfs.com/en/venice/t-fondaco-rooftop-terrace or with a tablet on the top floor, but you may have to wait an hour before you can access the terrace. Warnings: once you have booked a time you have to respect it, otherwise you can not access it except with another booking. Moreover, from what I have read, if it rains (even a little), it is not possible to access the terrace, probably for safety reasons. 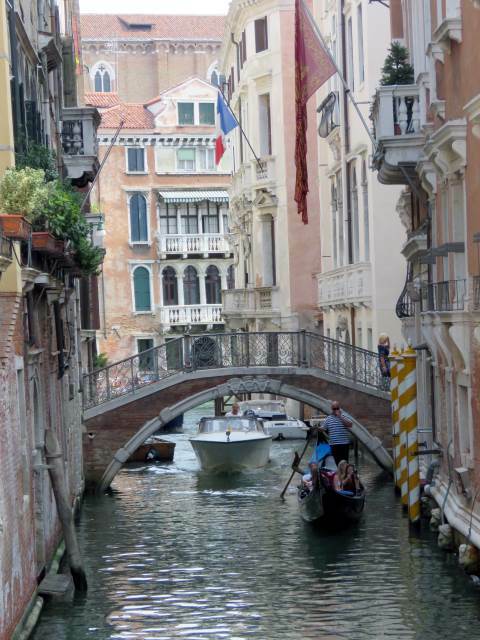 The best way to get around Venice is always on foot, and possibly outside the main streets. To reach Rialto from Piazzale Roma, I made the road that passes through the Frari and Campo San Polo. On foot you can enjoy the city much better. Coming back I took the vaporetto from Rialto, line number 1 making all the stops thus going slower and you can enjoy the beauty of the buildings overlooking the Grand Canal. 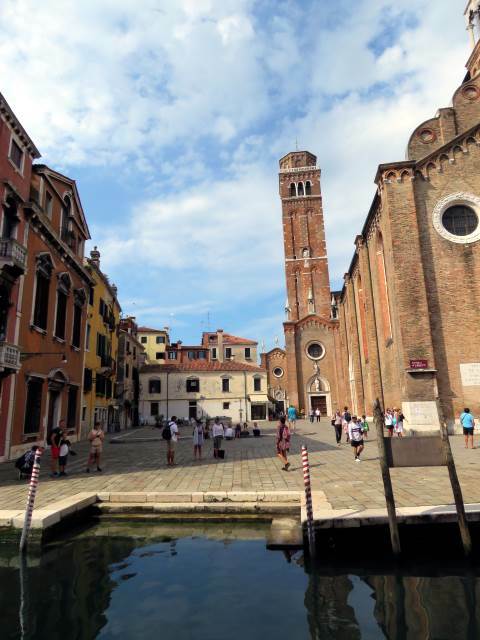 Venice: walking between the Ghetto and Ca’ d’Oro.